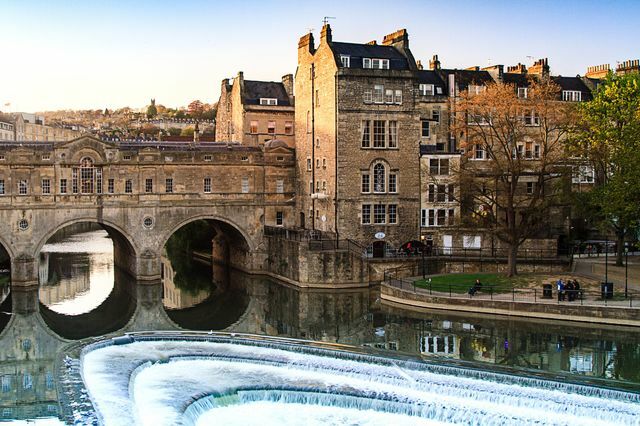 If you’re looking for all the charm and culture of a historical city with all the luxury and convenience of the modern-day, Bath is the perfect city for you! History buffs will love the abundance of opportunities to discover hidden gems amongst grand Georgian architecture. With countless museums showcasing everything from art to fashion to astronomy and wonderfully preserved Roman baths, there is history unfolding around every corner. Spend time relaxing at a rooftop spa before sampling some of the best food in the UK at the numerous award-winning restaurants and gastro-pubs. Shoppers will love exploring the independent boutiques of the Artisan Quarter or the or the nearby discounted Designer Outlet. Spend your evenings drinking cocktails, watching comedy shows or dancing the night away in bars and clubs. Bath is also perfectly situated to explore Stonehenge, Cheddar and the castles of Wiltshire yet still only 100 miles from London. With all of it’s charm, Bath is the perfect setting to write the first chapter of your own romance novel as a married couple. Bath hosts many festivals throughout the year. May and June sees the International Music Festival showcasing classical, folk and jazz music which runs alongside the Bath Fringe Festival. September also sees the annual Jane Austen festival when the whole city dons bonnets and breeches. The summer is a very popular time to travel with generally good weather from May to August which pushes up prices and limits availability. October to April can be rainy but the Christmas markets offer the chance to sip mulled wine and admire the twinkling lights and accommodation prices will be lower. Explore the City Via Horse-Drawn Carriage: What could be more romantic than exploring the cobbled streets in a private carriage, snuggled up with a blanket and champagne?